What is our potential as Human? Challenges help us realize our potential. Every human voluntarily or involuntarily wrestles with challenges. A challenge appears to be big or small depending on our potential or capability to handle it. The universe in a mystic way offers challenges that are in fact opportunities for us to realize our infinite potential. Life is nothing but a boiling cauldron of challenges. Humans thrive on challenges. Human history is rich because of adverse challenges in peace and in war. Humans have overcome challenges, at personal and community levels that at one point seemed like kissing sky, standing on earth. Humans have conquered tallest mountains on earth, traveled into deep space, discovered life in depth of oceans, and so on. The list is never ending. It points to infinite potential of humans. In absence of challenges, there is dullness and boredom making life a mundane event in comfort zone of the known. Challenges and unknown are synonymous. Those who are open to life, are open to challenges to discover their infinite potential. If you are up for the greatest challenge of all times, give me your ear. I am going to introduce a challenge that supersedes all challenges. This challenge is the supreme challenge. Those who took this challenge realized their potential as humans and inspire us to do the same. I am referring to Guru Nanak and other Gurus, Buddhas and Kabirs, who took upon the challenge to understand their own mind. In their quest to understand their mind they conquered their egos and realized infinite potential of life, by realizing origin or essence of their mind. Why Khoj (search) of mind is important? Without understanding our own mind; the most powerful tool at our disposal works against our wellbeing and that of others. Current pathetic state of world, marred by wars, massive deaths, fearmongering leadership, is result of our mind working against us at community and personal level. Until we do not understand our subtle mind working against us, even God cannot save us from us. Therefore, understanding our mind should be our personal priority. Understanding mind is far greater than climbing the tallest mountain, discovering million more earth like planets or understanding mysteries of ocean life. Understanding mind is far greater than understanding all scriptures known to humans. Understanding mind is pathway to salvation. One who understands scriptures might be held in reverence by others. One can understand their own mind, by searching or digging it, ultimately conquers their own mind, is held in reverence by the universe as a child who witnesses the divine miracles in awe. Those who conquered their mind, their actions and words are eternal charity for humanity. At this point let me introduce and elaborate central idea of this article, so well eloquently captured in below Shabad by Kabir ji. When disciples of a faith limits their potential to searching of scriptures and greatness of scribes of the scriptures, such a faith becomes diluted with misconceptions. Diluted by misconceptions faiths become the very reason of divisiveness, failing to inspire people who look at actions of people of various faiths to be derogatory for wellbeing of self and others. Comparative studies of faith for proving superiority, fueling hatred among believers of different faiths, creating perception of separation in name of faith to wield power are few examples of misconceptions. Let's illustrate how Guru Granth Sahib as medium of Gyan (Shabad Guru) shows path to salvation by provides knowledge to search our mind. Misconceptions creep in light of absence of application of gyan (knowledge) about eternal truth. If gyan (knowledge) is seed, than Karma (action) is flower and realizing (understanding) that essence of mind is the fruit. This fruit is Ananda (Bliss, aliveness) or jot, emanating from cessation of all sufferings, in oneness. This fruit frees one of all bondages bringing about aliveness. Upon realization that our mind is Jot sarup, we become alive. Aliveness is our presence through own own birth and death. Aliveness is being rooted through emotional storms and feelings. Aliveness is realizing our potential as being pure awareness. Searching and studying vedas and scriptures is supposed to lead us to begin the quest to search our own mind.Search of mind is meant to dissolve all separations among humans. Our search and study is meant to inspire us to realize our potential (mann tu jot sarup hai). Searching of mind is purpose of human life. Searching of mind provides divine direction to life. 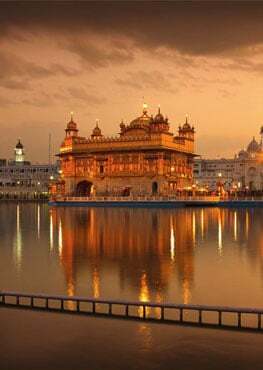 Searching of mind through knowledge of SGGS makes us one with Guru and virtues of Shabad Guru (without hate, without fear, timeless) are revealed in our life. Searching own mind is a journey that provides clarity, purpose and direction to life. One who has clarify is not bogged by confusion, fear and lack of confidence in their actions. Their convictions are rooted in knowledge of truth (Gyan). One who has purpose is not consumed by glitter, glamor and lavishness around them and moved in direction of realizing their infinite potential like an arrow shot from a bow. In my search of my own mind, grace of Guru has provided me immense gratification knowing I am on my path to realize infinite potential of life. This search has greatly detached me from thoughts of sufferings. Search of my mind has help me realize cause of my sufferings and pain to be my own thoughts. I no more look for reason for my pain to be outside of me. Search of my mind has helped me realize I am free to create my world either of pain or joy. I have realized my freedom and ability to remain empowered through adversities of life. Search of my mind has built my faith in SGGS as it provided me guidance through real life situations in all avenues of my life. The challenge of searching my mind, guided by Guru has diminished my reliance on outside world to be joyful, happy and peaceful. Knowing fruits of the challenge of searching my mind provides me eternal motivation to remain energized in all aspects of life. For me the challenge of searching my mind through Gyan as Shabad Guru has provided me ultimate challenge. I feel blissed, blessed and abundant without making material gains in my outside world.